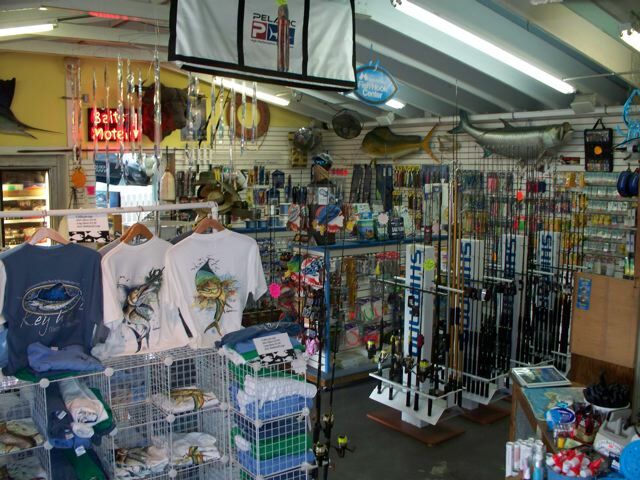 Key West's only bait and tackle shop is located at 241 Margaret Street in Old Town Key West, Florida. We are located in the historic seaport area of Key West just next to the Half Shell Raw Bar. We offer a wide variety of Penn fishing tackle, Calcutta gear, quality frozen bait, Costa Del Mar and Smith Sun Glasses, Pelagic gear, and many artificial trolling lures, jigs and plugs for all types of fishing. 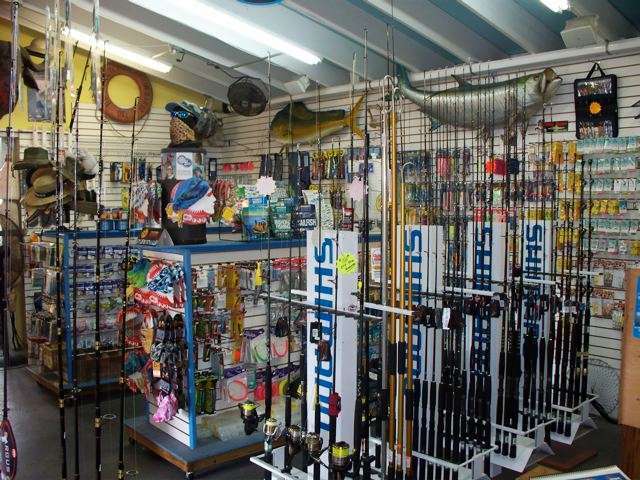 We also carry all the supplies that a tackle shop would have for Key West fishing. Live bait, frozen bait, beer, ice, Penn, Shimano, Diawa, Ugly Stik and Star rods and and reels, lures, hooks, plugs and all the supplies for fishing offshore, inshore or on the flats, plus our signature Key West Bait & Tackle t-shirts, hats, coolie cups and Key West Beach Towels. We also offer offers Light Duty Spinning Rods and Reels for rent starting at $25.00 per day. So if you weren't able to bring your own rod and reel don't let that stop you from getting out and fishing the local Key West waters. Come into our store and browse a wide variety of rods and reels as well as tackle and lures. We can meet all your bait needs at Key West Bait & Tackle. We can set up fishing charters for you and your family and friends. Our business hours are 7 a.m. to 7 p.m. 7 day a week. Our online shop has plenty of cool Key West t-shirts, hats, coolie cups and gear and offers FREE SHIPPING on all purchases of merchandise over $50. If you don't see something you want just give us a call and ask. We carry many brands of clothing like Pelagic High Performance Gear, Hook & Tackle, Salt Life and Calcutta. 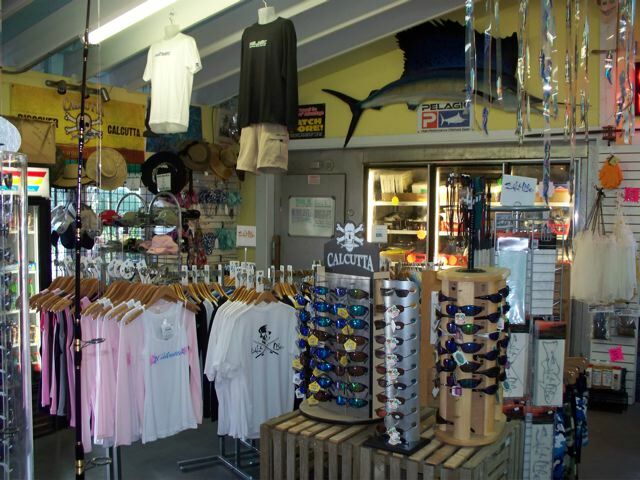 We have our own signature Key West Bait & Tackle t-shirts, hats, visors, can coolies and rain gear. If it's tackle you are after, we offer a full line of Penn, Shimano, Diawa, Ugly Stik and Star rods and and reels for light tackle to big game fishing gear. We have a wall full of offshore trolling rigs, Islander Lures, sabiki rigs, and even Berkley Gulp if you need it. And when the catch is in the boat we've got coolers and chill bags to be sure your fish stays cold until you get to the dock.